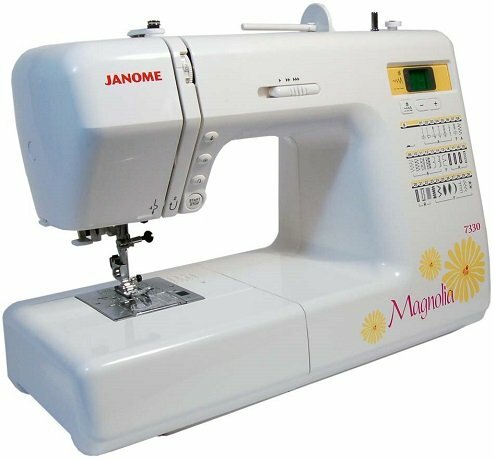 Helpful, Time-saving Features The Magnolia 7330 includes a variety of time-saving features, including memorized needle up/down button, locking stitch, reverse, and start/stop. Speed Control Slider Set your speed to accommodate your preference or project with the speed control slider. Stitches Choose from 30 decorative and utility stitches, including 6 buttonholes. LED Screen Select or adjust stitches for your personal sewing needs. The bright and easy-to-read LED shows selection numerically.